There are many theories floating around about what orbs with faces in them mean. Some seem as far-fetched as actual faces being in the orbs, while others seem to be logical explanations. 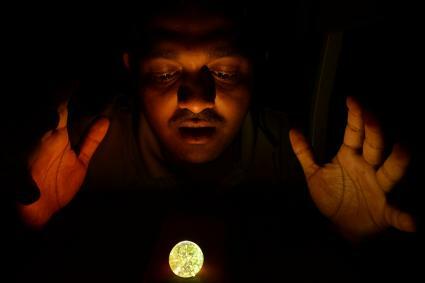 The most common perception of orbs with faces is the visiting spirits of loved ones. This is a popular explanation when this type of orb shows up in a photo taken of a family member. Many of these photos of orb faces occur during emotional events, such as a funeral or wedding. It might be Grandma watching over her young granddaughter or grandpa showing up for the family Christmas photo since it was his favorite holiday. It could be that these are the faces of loved ones in spirit making a visit to check in on their family members. One popular theory is that a spirit can manifest into the physical much easier as an orb shape than a human figure. It's theorized the energy needed for a spirit to manifest into the physical world is tremendous, so it makes sense most spirits opt for less expenditure of energy to transition. Another theory about the appearance of multiple orbs with faces is some spirits travel in groups. This group manifestation pools their energies for easier manifesting as orb shapes. The smaller effort allows maneuverability that would be more difficult in a full-bodied apparition form. Angels and spirit guides theory espouses the idea that these helpers reveal themselves with ease as faces in orbs. This demonstration to make their presence known has a significant meaning behind it, depending on the current situation or circumstances the person is experiencing. The color of an orb also relays a message. The emotional response once more is a reassurance that the person doesn't travel through life alone. This type of contact offers comfort whenever the person views photos snapped with these mysterious faces within the orbs. 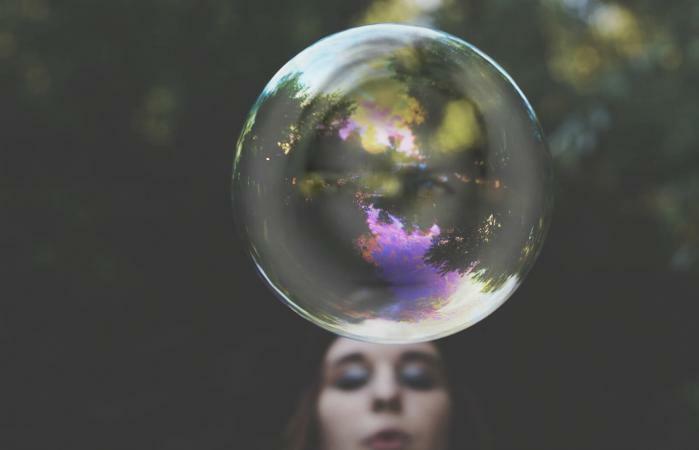 Ghost Gang Hauntings in the UK explains that some people believe orbs captured in photos are very much like the planet Earth. The orbs are like small planets with many spirits contained within the planet sphere. These spheres move about this world revealing their inhabitants' faces to various people who identify them as deceased family members. The most scientific explanation for orbs is that they consist of ionized gas. Plasma balls often referred to as lightning balls, have been witnessed for centuries. It's believed these plasma balls are released as naturally occurring orbs. 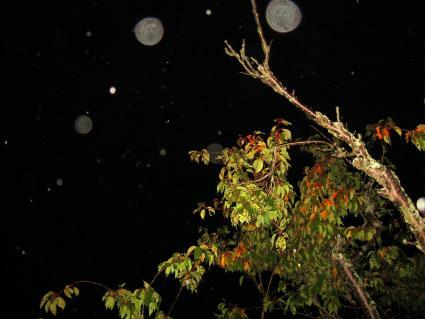 The mysterious legendary orbs of Brown Mountain Lights are self-illuminated and unlike ghost orbs are visible to the naked eye. It's possible that plasma orbs create the illusion of faces within their nucleus. The most likely explanation for what are perceived to be faces within orbs is nothing more than pareidolia often referred to as matrixing. Pareidolia is a psychological term used to describe a person's ability to see shapes or images in various things that aren't there. These things can be random splotches or markings, but to the person, they resemble something or someone specific. This kind of perception is demonstrated in the Rorschach Inkblot Test where the patient is asked the first thing that comes to mind when showed different inkblots. Psychology Today explains how pareidolia is the result of the person upon seeing a stain on a wall unconsciously projects their feelings as well as experiences and attitudes onto the stain. This is often used to describe accounts when people see Jesus or Mother Mary in a piece of toast or a stain on a church wall. There are enough theories about what orbs with faces in them mean to satisfy just about everyone seeking answers. 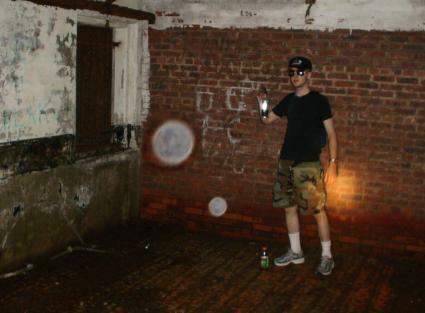 If you experience this phenomenon, you might have a different theory about what this type of orb means.